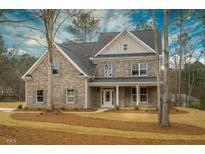 Find Loganville, GA Homes for sale. View Photos, Maps and MLS Data Now! Above Ground Pool Built Into A Portion Of The Deck. Huge 1200-1400 Sf Deck. Sunroom. MLS#8567613. Weichert Realtors Cara & Assoc. This Beauty Is Convenient To Shopping, Restaurants, And Parks. MLS#8565683. Anita I. Hale. Chandler Walk - Fenced Yard. Front Stone Rocking Chair Porch. MLS#8537142. Atlanta Fine Homes Sotheby'S. This Home Won'T Last Long - Must See! MLS#8562194. Georgia Real Estate Group. Watsons Grove - The Owners Suite Of Your Dreams Is On The 2nd Floor W/ 2 Large Rooms, Fireplace & More. MLS#8560494. Give Back Real Estate, Llc. Needs A Little Tlc. Estate Owned, Must Sell! MLS#8560188. Majors Realty Llc. Photos Are Stock Photos And Not Of The Actual Home. MLS#8559571. Algin Realty, Inc..
Stillwaters - Covered Front Porch, Covered Patio & Sprinkler System. MLS#8560190. Residential Brokers Inc..
Stillwaters - Covered Front Porch, Covered Backyard Patio & Sprinkler System. $5,000 Buyers Bonus. MLS#8560189. Residential Brokers Inc..
Stillwaters - $5,000 Buyers Bonus. Call Umana For More Information MLS#8560185. Residential Brokers Inc..
Mockingbird Hill - You Will Love The Sunroom Off The Kitchen. 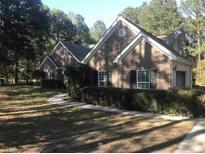 MLS#8537704. Keller Williams Rlty Atl. Part. Bay Creek Commons - This Is One Of The Many Homes In This Community. Photos Reflect Plan MLS#8558489. Knight Realty Of Georgia. Great Investment Opportunity Or Affordable Housing - Stop Paying Rent! MLS#8558479. Carousel Properties, Llc. Seller To Pay Up To 3% Closing Cost If Buyer Uses Preferred Lender! MLS#8558230. Mcginnis Realty & Appraisals. Bay Creek Commons - The Owner'S Suite Has A Vaulted Ceiling, A Sitting Area, Huge Closets And A Large Bathroom With Double Vanities, Large Garden Tub And A Separate Shower. MLS#8558137. Knight Realty Of Georgia. Large Open Living Room with Fireplace, Formal Dining Room, Bright Kitchen With Breakfast Area, Master W/Trey Ceiling And Fan, Master Bath W/Garden Tub, Gorgeous Full Updated Bathroom In Hallway, Lower Level Could Be In-Law Or Teen Suite With Private Exterior Entrance, Patio Opens To Large Private Fenced Backyard, Two Car Garage W/Storage Room MLS#8557514. Realty Professionals. Crystal Lake - Very Convenient Location - Parks, School, Grocery Stores, Etc! A Must See! MLS#8556772. Gt Realty Inc..
Plantation At Bay Creek - Three Additional Bedrooms And One Bathroom Upstairs, And Full Inlaw Suite Downstairs MLS#8555895. Virtual Properties Realty.Com. Gardenside - Multiple Living Areas Grace This Sprawling Home & The Owners Suite Is Truly Amazing. Complete W/ Patios & Fenced Yard. MLS#8556114. Give Back Real Estate, Llc. Butler Springs - Master Has Double Trey, Walk In-Closets With Double Vanities, Whirlpool Tub And Oversized Shower And Tiled Floor! MLS#8554870. Kennedy Taylor Realty Llc. Walters Park - This Is Small Community With No Hoa You Will Love Coming Home Too! MLS#8554302. Keller Williams Rlty Atl.Partn. Too Many Amenities To Mention. Appointment Only MLS#8553499. 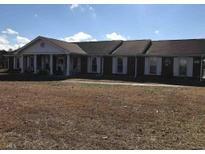 American Realty Pro Of Ga.
Ivy Fork - The Property Is Owner Occupied Please Schedule Appts Through Showingtime. Photos Coming!! ! MLS#8552037. Avery Realty Group Llc. The 1400 Sq Ft Detached Garage Is Equipped W/ Office & Shelving. Huge Party Deck Out Back! 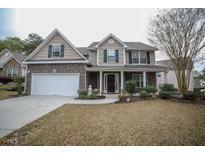 MLS#8549463. Algin Realty, Inc..
Off Your Back Porch In The Fenced Backyard, Take The Stone Path To Your In-Ground Pool & Fire Pit. MLS#8548419. Algin Realty, Inc..